Chainrings made for ‘Cross and Gravel. Made to perform. Made for awesome shift performance in all conditions. 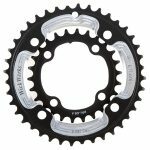 These are the famous WickWerks Cyclocross 44/34T Chainrings — Now available for several mounting configurations. 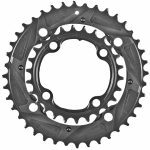 See the Crank Type tab above to select correct chainrings for your bike. If you don’t know for sure, send a photo and we’ll help. 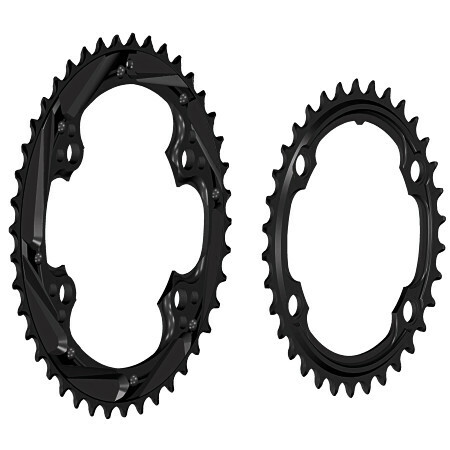 – Weight 111g – 125g (Ring Set) depending on the crank they mount to. 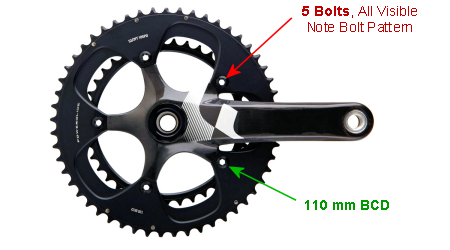 – 110mm BCD, 4 or 5-Bolt versions of various cranks. 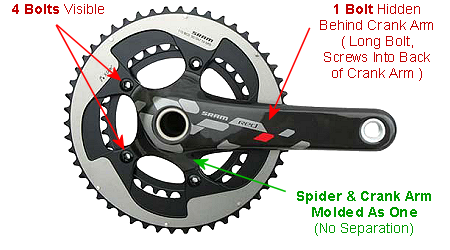 – Most models and manufacturers (see Crank Type tab above for specifics). – Standard 110 mm BCD ‘Compact’ Cranks. 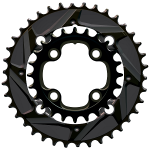 – SRAM Red, Force, Rival, Apex, and more — including Exogram Style. 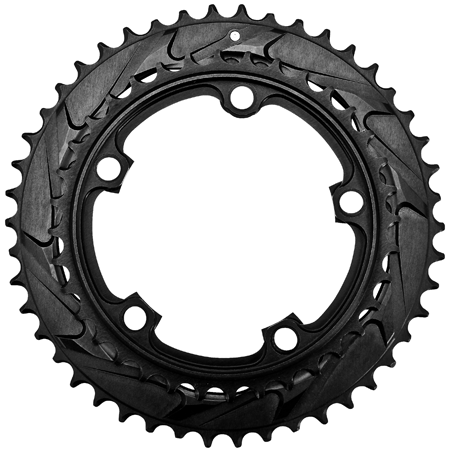 Either way you spell it, Cyclocross or Cyclo-cross as well as Gravel, the fun of the sport is the dread of the drive train. No worries, though. 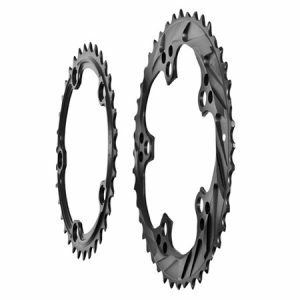 You’ve just found the WickWerks shifting advantage in the form of high-performance chainrings made to shift faster, shift dependably, and shift better even when conditions get crazy. 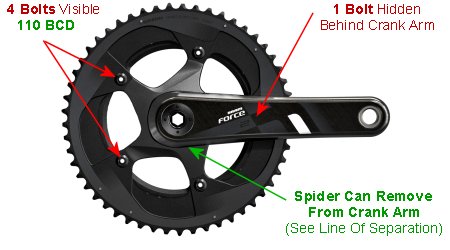 Check out the chainring images above, especially the back view to see the radical chain ramps. (We call it BRIDGE Technology.) 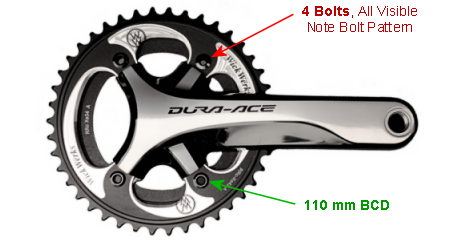 These are miles ahead of the typical shift pins used by others. These are massive ramps, like big hands held out to grab the chain and shift it NOW. And notice, there are lots of them — shifting ramps made so your bicycle will shift when you ask it, even in slog of a tough cyclocross race. 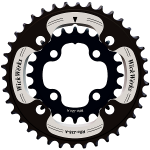 Step up your game with WickWërks Cyclocross 44/34t Chainrings.